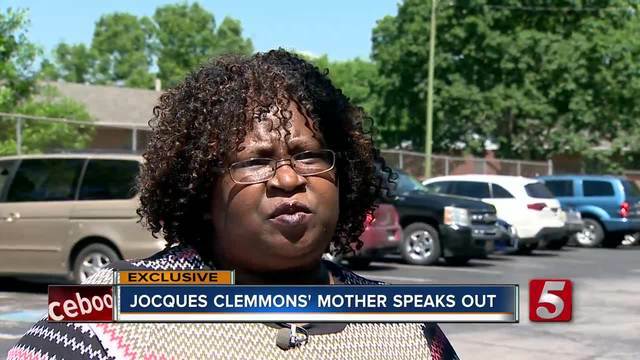 Sheila Clemmons, the mother of Jocques Clemmons, who was shot and killed by a Metro Nashville Police officer, broke her silence days after the DA announced the officer would not be charged. "It's alright. 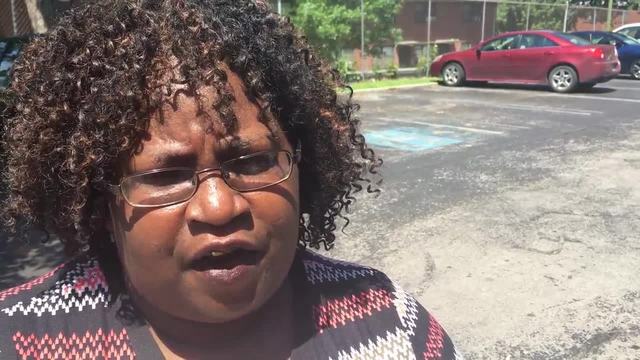 God is still working child," said Sheila Clemmons-Lee as she and her daughter Aja Tate walked in the parking lot at James Cayce Homes where prosecutors said Metro police officer Joshua Lippert was justified in shooting Clemmons. "When someone arms themselves with a deadly weapon that can be used in an instant in the middle of a physical altercation that officer has to assume they are picking it up for a reason and that is because they could hurt the officer," said District Attorney Glenn Funk at a news conference last Thursday. "Just because of that decision we are not going to lose hope," said Clemmons-Lee. Clemmons-Lee still mourned the loss of her son who was shot after a traffic stop in February and disagreed with District Attorney Glenn Funk's decision. She knew others did too, but if there's protest she wanted it to remain peaceful. "I told them if they want to honor my son don't tear Nashville up," said Clemmons-Lee. She and her daughter Aja have both been asked the same question which was also asked of the D-A: Why did Jocques run instead of just surrender to officer Lippert. "Whatever Lippert said following him getting closer to him scared the hell out of my brother, and my brother ran for his life," said Tate. "We can speculate, but there's no way to know exactly," said General Funk. The Clemmons family was still coming to terms with the fact no charges will be filed. DA Funk determined Lippert's actions were justified and that he acted in self-defense, but Tate said Lippert's conduct -- shooting her brother three times -- should at the very least cost him his job. "To have Lippert on your force is to say it's okay to do wrong," said Tate. The Metro Police Department reviewed the conduct of Officer Lippert. He will not face criminal charges, but he could face discipline within the department. The Clemmons family said they will be watching. Officer Lippert was placed on administrative assignment until the police chief makes a decision on his conduct. The Clemmons family and their attorney declined to comment when asked if they would be filing a civil lawsuit against the city.